Asaph Hall in August 1899. Born in Goshen on Oct. 15, 1829, astronomer and mathematician Asaph Hall would become a celebrity in his field after discovering moons orbiting the planet Mars. The former Connecticut farmer was the son of a clock maker in the Hart Hollow section of town and his grandfather had served under Ethan Allen during the Revolutionary War. After the death of his father, Asaph Hall helped support his mother and five siblings by working on the family farm. He also spent time working odd jobs, like making wooden molds for Lewis Norton to help him produce his famous pineapple cheese. After attending school in New York, and relocating west, Hall took classes at the University of Michigan where he developed his abilities in mathematics and affinity for astronomy. In the 1850s, he was back on the East Coast working as a carpenter and at the Harvard University Observatory. In 1862, he received an appointment at the US Naval Observatory in Washington, DC, and, shortly after, received multiple visits from President Abraham Lincoln during which the two men discussed the scientific principles of astronomy at length. Hall became an international celebrity in 1877 when he discovered two moons orbiting around the planet Mars and used his ability with mathematics to successfully project their orbits. He named the moons “Phobos” (fear), and “Deimos” (panic or terror). Shortly after his discovery, Hall won international recognition for his achievement, receiving the Lalande Prize of the French Academy of Sciences in 1878 and a gold medal from the Royal Astronomical Society of London in 1879. Hall retired from the Navy in 1891, but the accolades followed him into retirement. He received the French Arago gold medal in 1893 and became a member of the French Legion of Honor in 1896. That same year, he accepted an invitation from Harvard to lecture students in celestial mechanics. Eventually retiring from lecturing altogether, Hall settled back in Goshen in 1901. Six years later, he died suddenly during an extended stay in Maryland with his son, Angelo. Today, a lunar crater, as well as a crater on the Mars moon of Phobos, bear Hall’s name. Asaph Hall received the the Lalande Prize of the French Academy of Sciences in 1878 for his discovery of Mars’ moons. 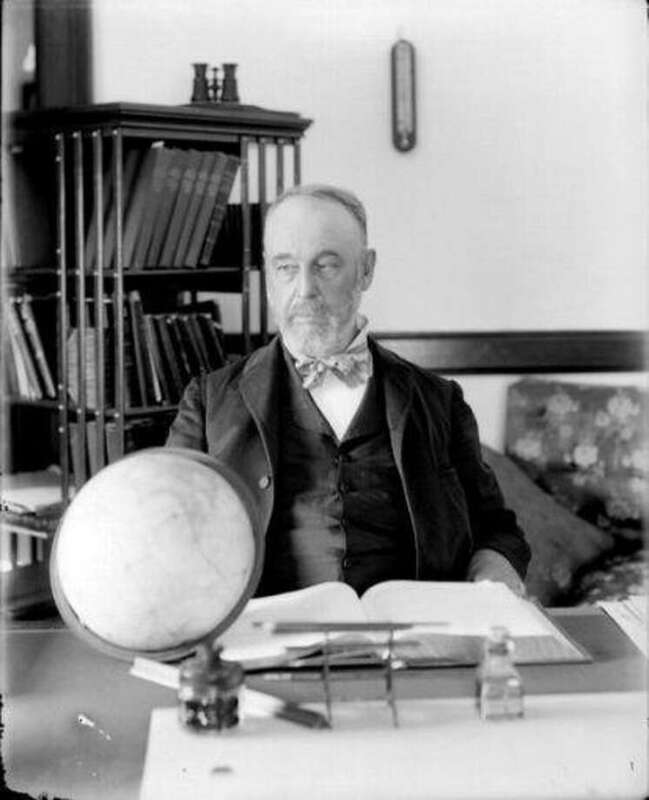 The year astronomer Asaph Hall discovered two moons orbiting around Mars.